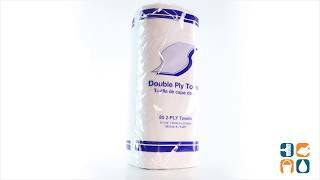 These kitchen paper towels are ideal for cleaning and wiping at home or in food service, healthcare, and office settings. 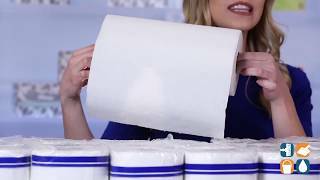 GEN roll towels offer convenient dispensing. These economical, durable paper towels are great for everyday cleaning and wiping tasks. Each perforated roll has 85 two-ply sheets that are 11" x 9" in size. White. Includes 30 rolls. Perfect for use in home or commercial businesses. Order GEN Kitchen Paper Towels today and save. Buy in bulk quantities and save even more!